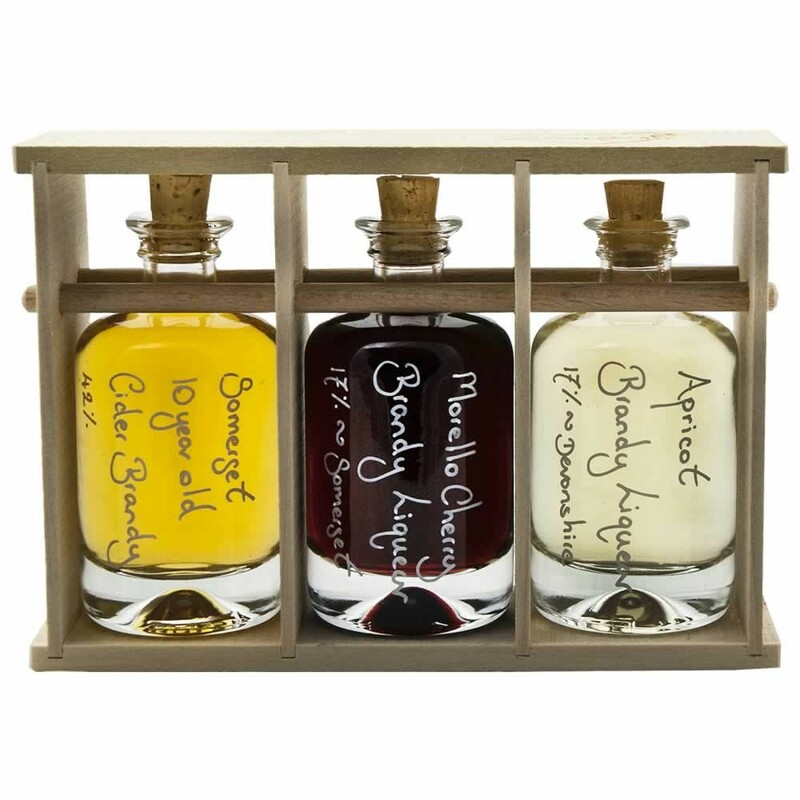 Our Mini Brandy Rack combines a set of 3 of our most popular Brandy drinks. 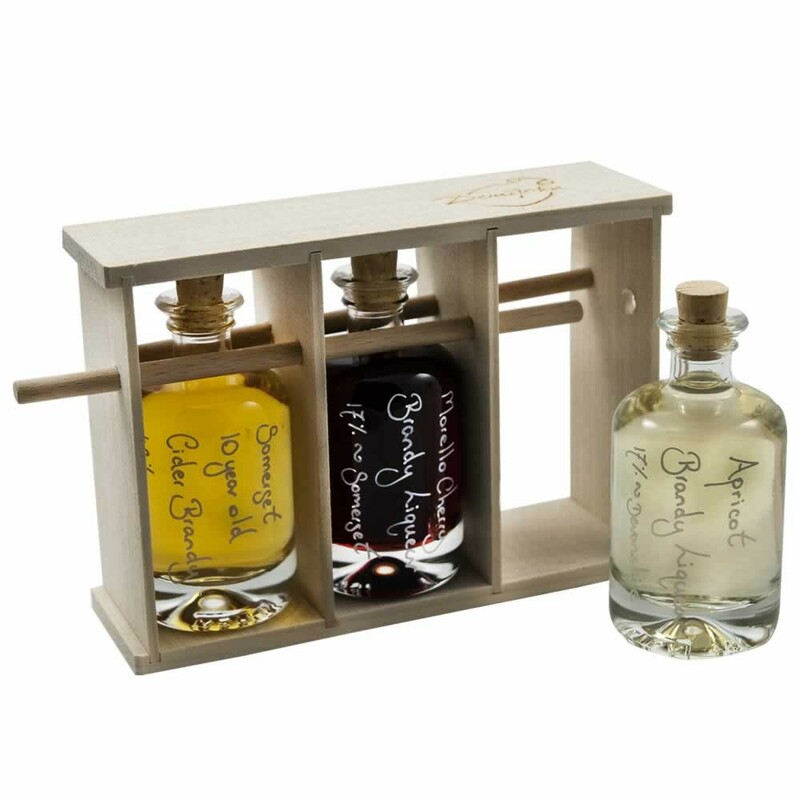 Bottled to order in our beautiful Apotheker 40ml bottles, the bottles are cleverly tied together as a tasting set in our British handmade Poplar wood bottle rack. A short piece of wooden dowel is withdrawn, similar to a tantalus, to magically release the bottles. 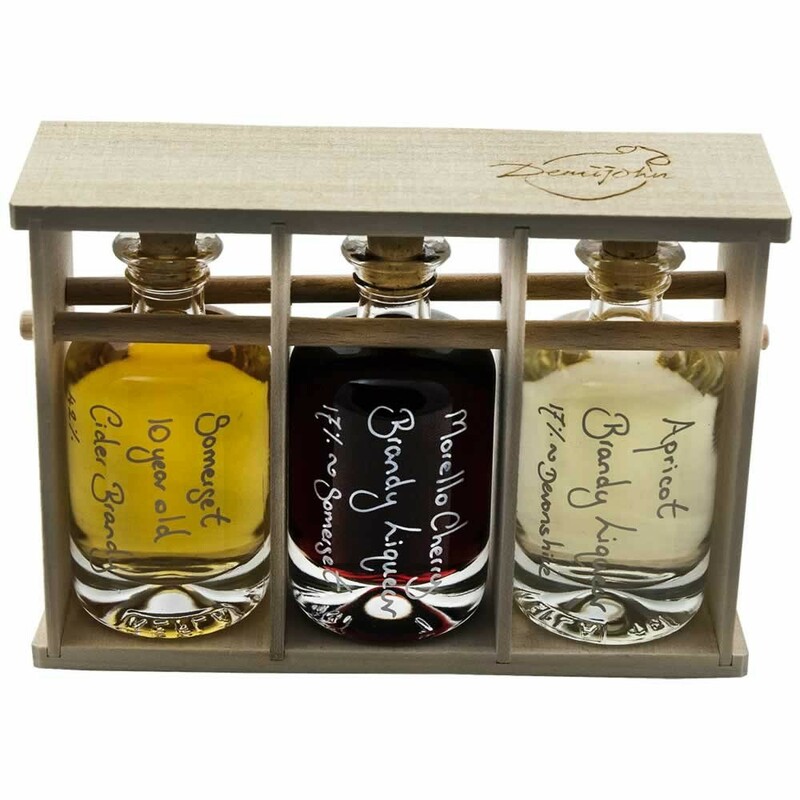 Bottled in the Mini Brandy Rack is our delicious Apricot Brandy Liqueur 17%, our fruity Morello Cherry Brandy Liqueur 17% and our refined 10 year old West Country Cider Spirit 42%. This is a perfect small presentation set for a Brandy enthusiast. The wooden rack that holds the bottles is hand crafted by our team of British cabinet makers in Cumbria using sustainably sourced British Poplar wood. If you would like to vary the contents of your set, you can! Please build your own Mini Apotheker 40ml Bottle Rack or if you would like an alternative larger version please choose our 5 bottle Apotheker 40ml Bottle Rack. If you are still stuck, do not despair, simply contact us and we will be happy to help.